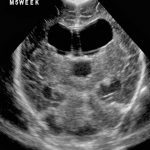 Attributes of NeuroUltrasonography depends on the differential reflection and absorption of high-frequency sound waves (ultrasound). Prior to closure of the cranial fontanelles, the brain can be examined with ultrasonongraphy. Additionally, for the first few months of life prior to the calcification of the posterior elements of the spine, the spinal cord can be imaged. No radiation: Neurosonography does not require ionizing radiation. It is therefore preferred over CT scans where possible. Bedside procedure: Ultrasound equipment is portable and can be brought to the bedside. Neurosonography is therefore widely used in the evaluation of critically ill neonates. 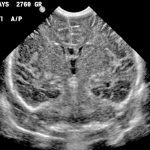 CSF and blood well imaged: Intraventricular hemorrhage and hydrocephalus are well evaluated with neurosonography. Major brain malformations and large intracranial masses can also be readily identified. The level of the bottom of an infant’s spinal cord can be determined during the first few months of life. 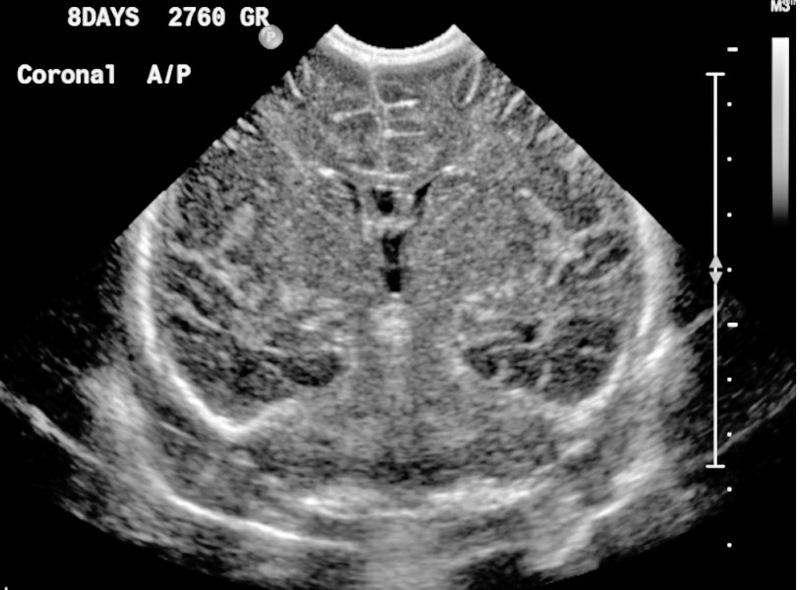 Normal coronal ultrasound: Normal ultrasound image of a neonatal brain, in the coronal plane. The brain parenchyma is relatively echogenic (bright) compared with the ventricles. 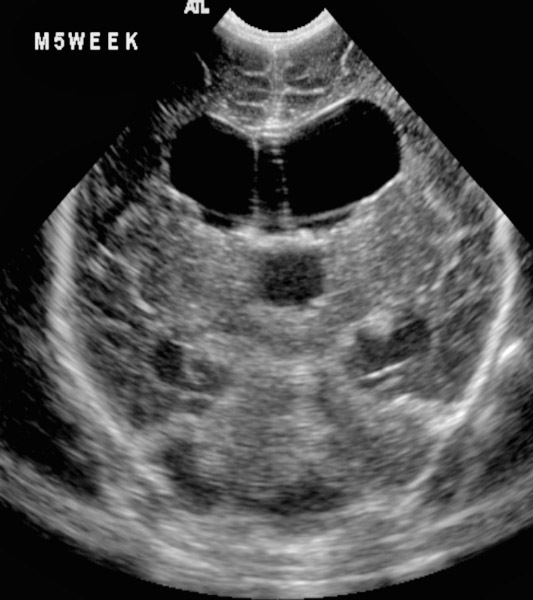 Abnormal coronal ultrasound: Marked hydrocephalus in a preterm neonate.